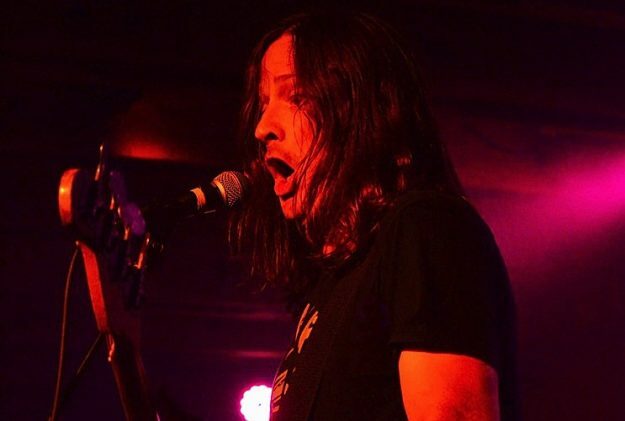 A conversation with Steven McDonald of Redd Kross, OFF! and now The Melvins is always a treat. While the term elder statesman applies to McDonald, it seems inappropriate to use “elder” to describe anyone who brings so much youthful enthusiasm to his work. Especially in his latest endeavor, playing bass with the now L.A.-based sludge, grunge and experi-metal pioneers, The Melvins, who originally hailed from the Pacific Northwest. Truth be told, McDonald, who turned 49 in May, seems to be very pleasantly pleased. When a legendary bass player joins a legendary band, the odds are in the fans’ favor of seeing something amazing at every gig, and this union doesn’t disappoint at all. McDonald, who cut his teeth in the Hawthorne-based Tourists in 1978 (who would become Redd Kross in 1980) at the tender of age of 11, has a long line of music success under his belt. Along with his brother Jeff McDonald, he’s responsible for some of the best power-pop/punk hybrid music ever with his work in Redd Kross. In 2009, he formed punk-rock supergroup OFF! with Keith Morris (Circle Jerks), Dmitri Coats (Burning Brides), and Mario Rubalcaba (Rocket From the Crypt). In addition to his work with a bass in his hand, McDonald also has an ever-growing list of artists he is recording and producing, including The Format’s Sam Means, with whom he just did an absolutely killer record, Ten Songs. What’s happening with Redd Kross and OFF!? Well, my brother [Redd Kross’ Jeff McDonald] has been writing songs while I’m on the road with The Melvins. I’ve got a little recording space that I share with all the bands that I’m in. I call it the Whiskey Kitchen. I’m doing a couple records for Burger Records and In the Red Records at my space. My niece, Astrid McDonald, has a band called The Side Eyes. They’re totally rad. I’m making a record with them. My July is full with all the different balls I’m keeping the air. With OFF!, we just had a conference call a little while ago. We’ve got plans to try and do some stuff in the coming year.